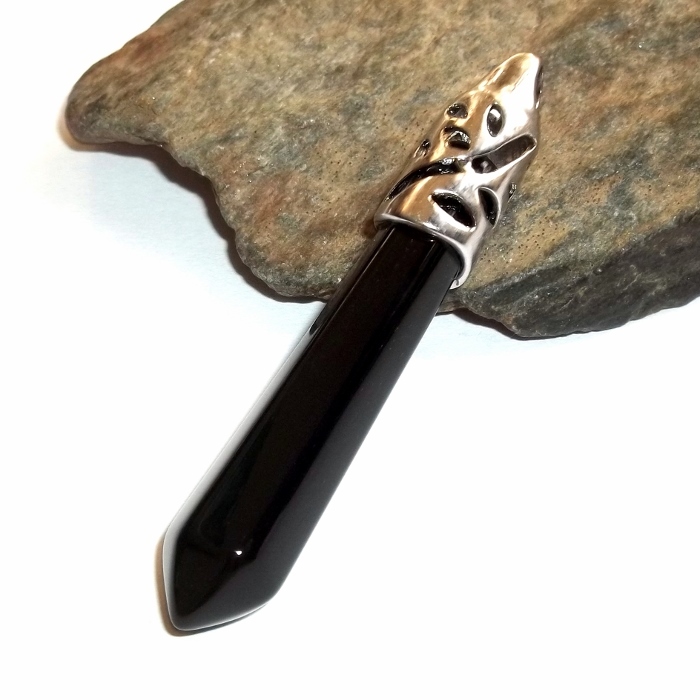 Black onyx wand shaped gemstone set in a silver plated pendant. Onyx gemstones enhance your attention, willpower, self-mastery, and discipline, allowing you to complete the most dreary and difficult tasks. Onyx increases your ability to focus and attention to detail by calming nervousness and helping you keep a cool head. Onyx is a gemstone of inner strength, willpower, focus, and attention. 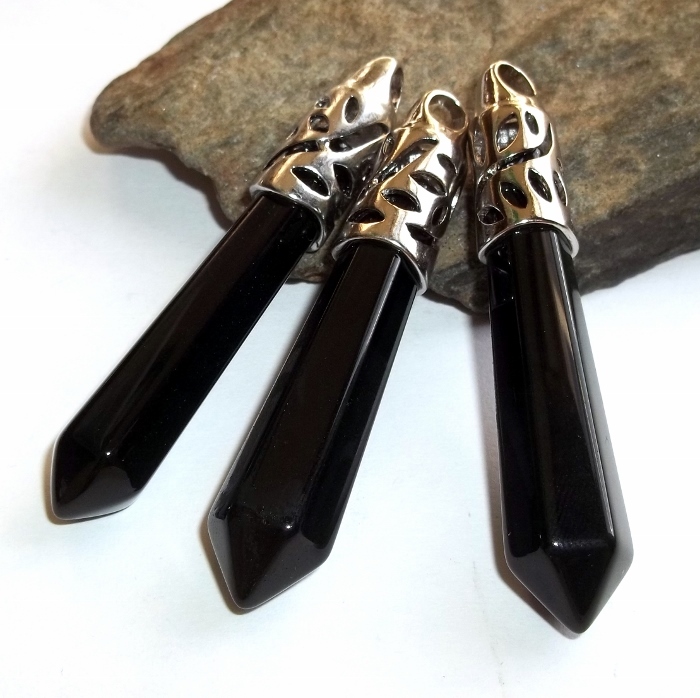 Black onyx is associated with the root chakra. 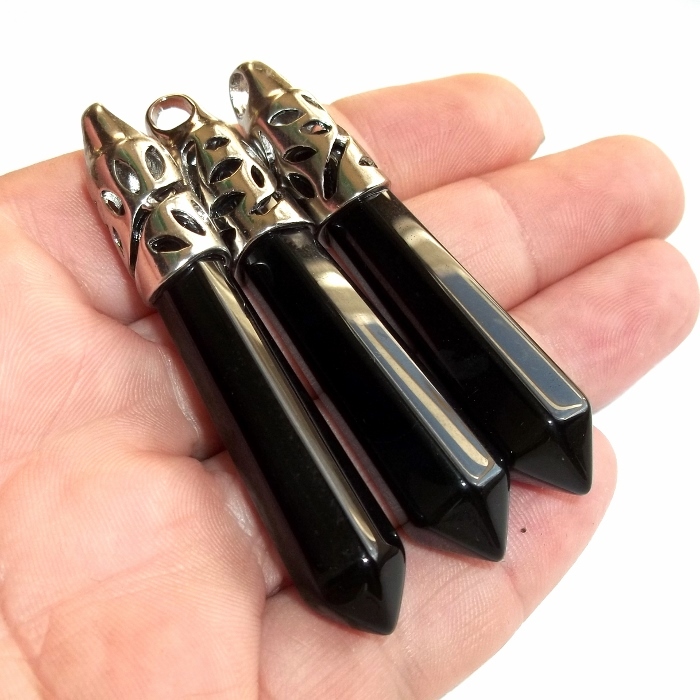 Pendants are 2 3/8 inches long with a 5 mm diameter bail hole.